On Wednesday, 13th. 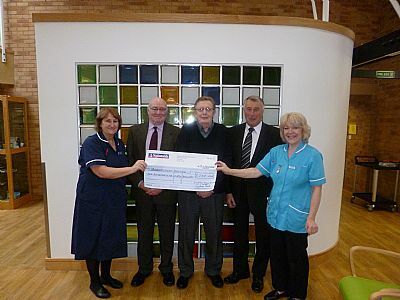 November, 2013, Bob Howard; Mike Thompson and Tony Lord visited Queenscourt Hospice, Southport and presented them with a cheque to the value of £250.00 on behalf of the Liverpool Prison Officers Retired Staff and the Present Staff of HM Prison, Liverpool. The money was raisedat the 8th. Annual Reunion Night, on Friday, 27th. September, 2013. Bob Howard also presented a cheque of £250, on behalf of the Prison Service Charity Fund, a total of £500.00. 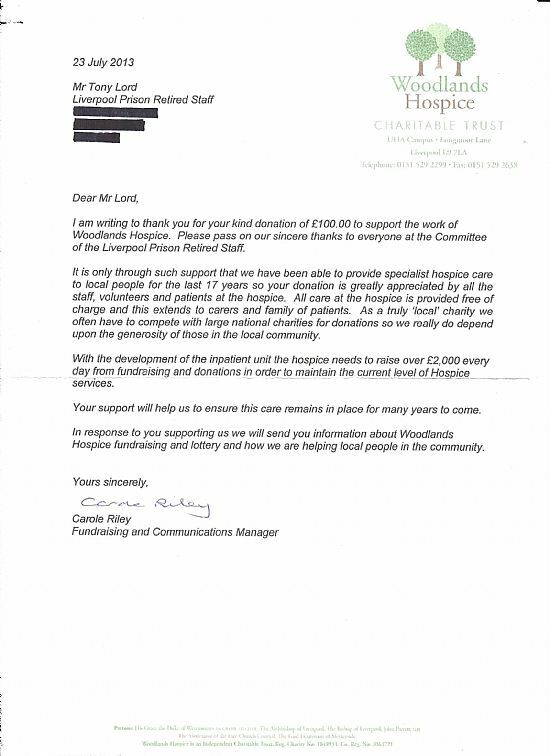 A cheque for £100 has been donated from our funds to the Woodlands Trust. 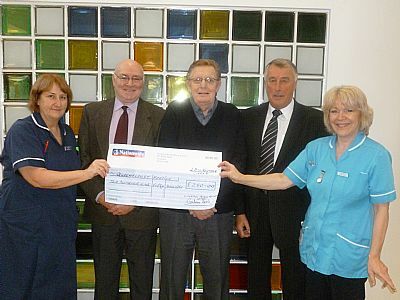 Bob Howard presented the cheque to Mrs. May Hannah on behalf of the Liverpool Prison Retired Staff. 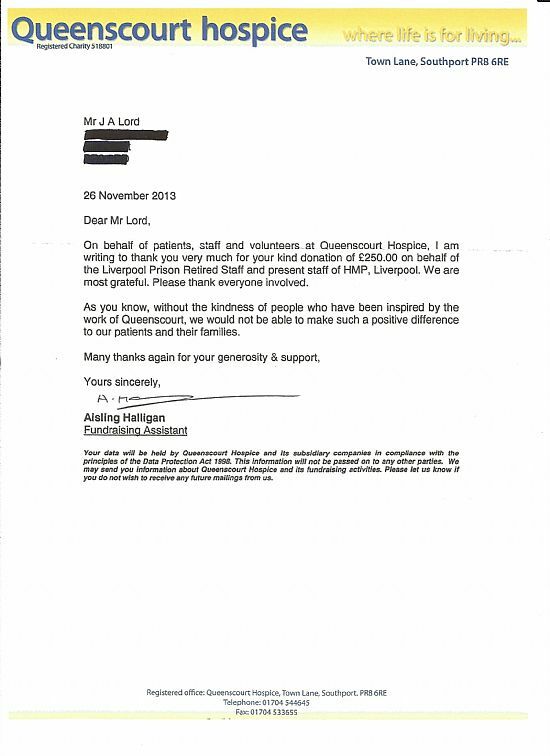 He also presented a cheque for £100 from the Prison Service Charity Fund.